Thank You GWATFL Fall Conference 2018 Attendees! The Greater Washington Association of Teachers of Foreign Language (GWATFL) thanks you for attending GWATFL Fall Conference 2018 celebrated at Norwood School on November 3. Over one hundred sixty language educators participated in the conference. Your presence helped to make this event a great success and your enthusiasm and positive spirit made our time together productive and fun. Stay tuned for our GWATFL Spring Conference! It will take place at the National Cathedral School on April 27, 2019. Visit our website for more information. “I most appreciate the "reality" of Leslie Grahn's presentation, because as someone who has taught for over 40 years, I am very aware of the necessity to transition more and more of my instructional strategies and techniques into the "real world" of today! 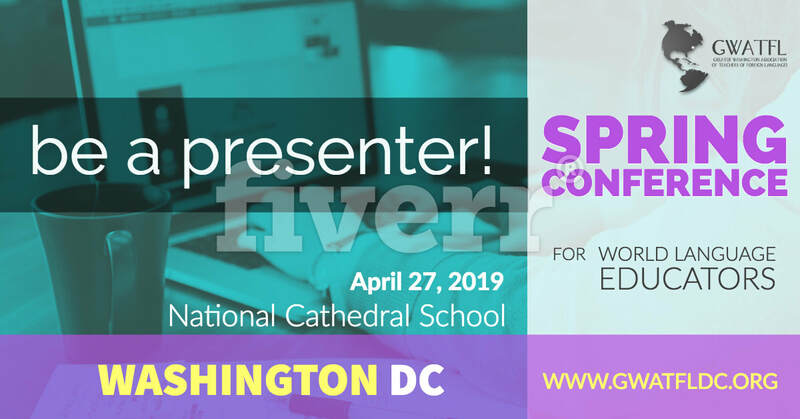 We hope to see you on April 27, 2019 at The National Cathedral School. Present at GWATFL! The Spring Conference proposals form is available. The Greater Washington Association of Teachers of Foreign Language (GWATFL) would like to congratulate Ms. Sheena Jordan on being named GWATFL Teacher of the Year 2017.
commits herself, to making global connections, leading the Donuts for Donations campaign with her elementary students supporting the #CaribbeanSchoolsRise social justice efforts. Sheena’s teaching experience has affirmed that, “Language is a portal to problem-solving”, and she believes that one day her scholars will have the resolutions to lead some positive revolutions. Ms. Jordan joined Teachers of the Year from other state organizations at the NECTFL conference as she was nominated for the Northeast Conference on the Teaching Foreign Language (NECTFL) Teacher of the Year. Ms. Sheena Jordan, GWATFL teacher of the year 2018 and Mz. Celia Zamora, ​​Mead Leadership Fellows Program winner, with GWATFL board members at the NECTFL 2018 Annual Award Ceremony in New York City. Learn About the GWATFL Teacher of the Year Award and nominate a teacher. ​​Mead Leadership Fellows Program winner! 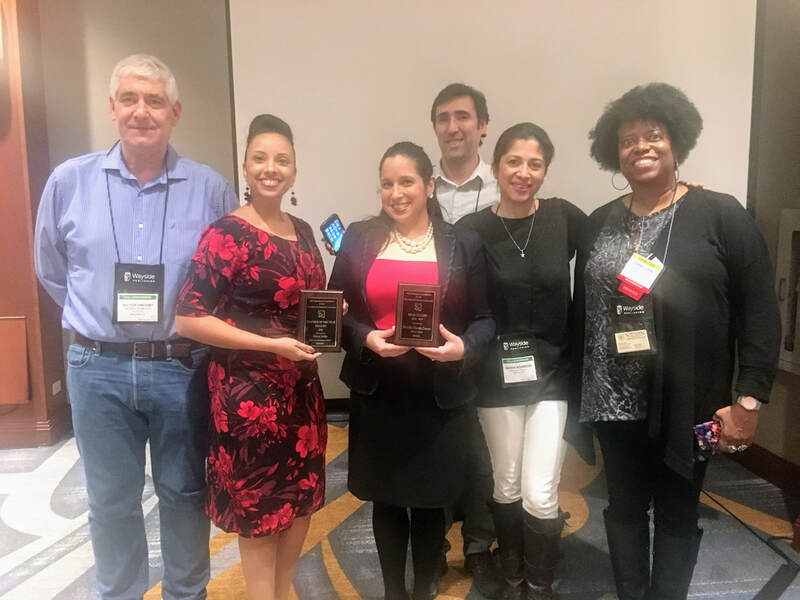 The Greater Washington Association of Teachers of Foreign Language (GWATFL) congratulates Dr. Celia Zamora on receiving the 2018 NECTFL Mead Leadership Fellows Program (with support from SANS, Inc.). Dr. Zamora was recognized at the NECTFL Awards Ceremony in New York in February 2018. She has expert mentoring as she works on her project on conversational pragmatics. Dr. Zamora attended NECTFL for free in 2018 and she will present her project at NECTFL and at GWATFL in 2019. She also received a stipend from GWATFL. About the MEAD Leadership Fellowships and apply here. 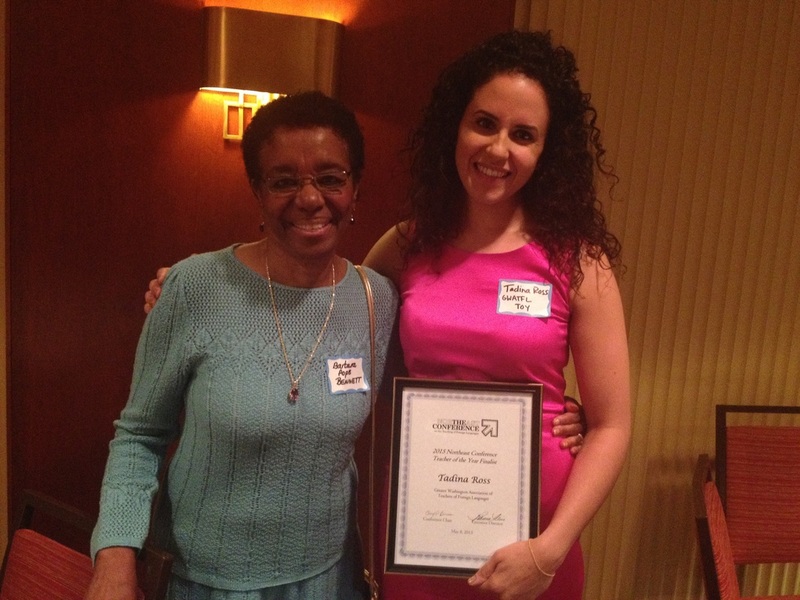 Ms. Ross is an accomplished Pre-K through 4th grade Spanish Teacher at E.L. Haynes Public Charter School in Washington, D.C.
Ms. Tadina Ross with her former Spanish teacher, Barbara. Learn about the LEAD with LANGUAGES campaign, the unprecedented national effort backed by diverse representatives from education, business, government and nonprofit sectors.